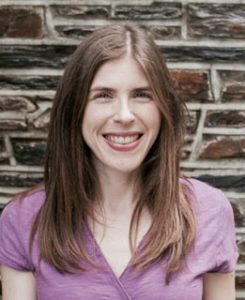 Nora Nunn is a doctoral candidate in Duke University’s department of English specializing in transnational 20th-century American literature and visual cultures, with a focus on genocide and human rights. Her interdisciplinary work is forthcoming in Genocide Studies and Prevention: An International Journal. Prior to her graduate studies, she served as a U.S. Peace Corps Volunteer in Kigali, Rwanda. Nora’s project interrogates and analyzes the limits and possibilities of narratives (i.e., literature and visual cultures) in inaugurating political change. It asks, how do we imagine genocide and its legacies? Do we know what genocide is? How exactly do people imagine the three-syllable word coined by Jewish émigré lawyer Raphael Lemkin in the 1940s—and more specifically, how does literature shape this act of imagining the legal concept? In her dissertation, Nora plans to explore how language—and the stories people craft from that language—shapes individual and collective understandings of genocide, specifically in the 20th -century transnational American imagination. Her project also looks at understandings of collective violence—such as King Leopold’s bloody reign over the Belgian Congo described by Mark Twain in his 1905 satirical piece, King Leopold’s Soliloquy—before the word “genocide” was coined. The Human Rights Summer Research grant will support archival research for her project.